Christmas lights are seen in this file image. 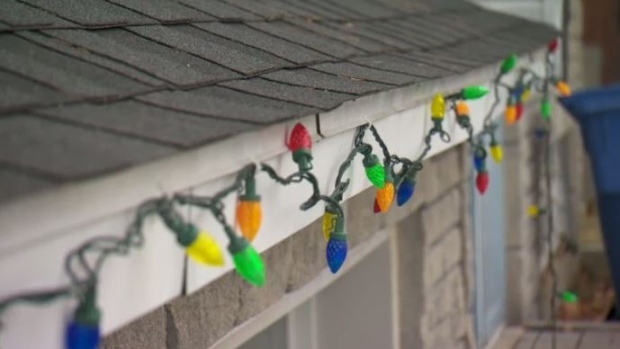 GREEN BAY, Wis. -- Investigators say a 61-year-old Wisconsin man was arrested for tearing down a neighbour's Christmas decorations while drunk and naked. The Green Bay Gazette reports that Gregory Brannigan faces misdemeanour charges of disorderly conduct and resisting an officer. A criminal complaint shows Brannigan's neighbour called police Wednesday after to report that he was naked, kicking her door and tearing down her decorations. 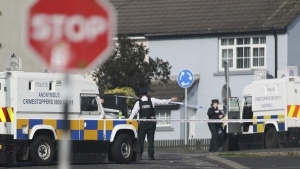 The neighbour told police Brannigan appeared intoxicated. Officers say the Green Bay man was stumbling and told officers he needed to take care of supposed drug dealers in a neighbour's apartment. Court documents don't list an attorney for Brannigan. A message left at a local phone number listed for a Gregory Brannigan was not immediately returned Friday.